What's black, white and hot pink all over? 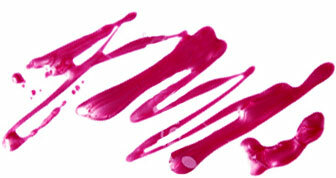 Our twentieth day of 31 Days of Pink with essie cosmetics! We created a cool, half and half manicure. We began by painting on the black and white stripes on half of the nail using Art Deco striper polish. Then, we painted on essie polish in Tour de Finance on the other half and topped it off with a high-shine topcoat.